Obbattu is one of the famous traditional South Indian sweet mostly prepared during festivals & weddings. Obbattu is sweet stuffed bread. There are varieties of obbattu like togari bele obbattu (pigeon pea), kai obbattu (coconut), kadle bele obbattu (bengal gram), sakkarre obbattu (sugar) etc.. Its name differs from region to region like Obbattu or holige in kannada, methi roti in Hindi, Puran poli in Tamil, vermi in Gujarati, bobbatu in Telugu. 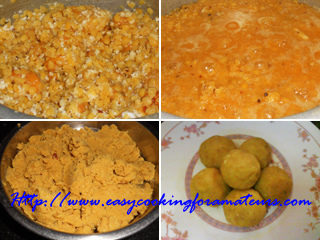 This recipe is Togari bele obbattu / sweetened pigeon pea stuffed bread. 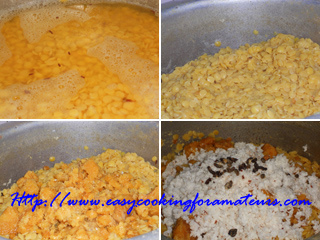 In a mixing bowl add all purpose flour & turmeric, mix. Add required water to make soft dough. Apply oil on the dough. Cover it & keep aside for 1/2 hr. Note: Dough should not be too hard or too soft. When you pull the dough it should be like elastic & spreads easily. Wash pigeon pea for 2 times. In a pan add pigeon pea & water. The pigeon pea should be cooked so that when you press the pigeon pea it should spilt (breaks apart). Note: Don’t over cook. It should be little hard in middle. Drain out the excess water. Add jaggery, grated coconut & cardamom to it. Mix well. Keep stirring for 10 minutes so that it mixes well. Let it cool a bit & grind it to smooth paste. Note: Don’t cool the mixture fully. It should be warm while grinding. Don’t add water for grinding. 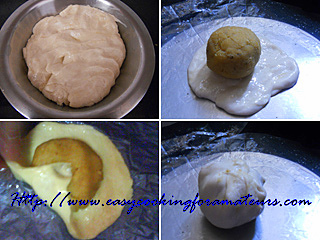 Make small balls of all purpose flour/maida dough. These balls should be smaller than stuffing balls. Flatten the dough with fingers by pressing so it becomes 3 inches diameter. Place the stuffing ball in the middle of the flattened dough. Close and seal the stuffing ball to the top. Pat the dough to flat with fingers by pressing all the sides to spread evenly. Note: You can also use tortilla press. Use 2 plastic sheets, place the ball in between sheets. Heat the griddle in medium heat. Gently transfer the flatten dough from plastic sheet to your hand and then on to griddle. 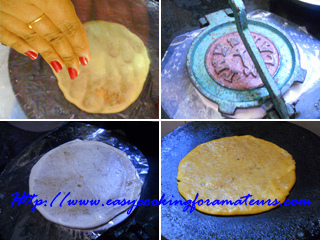 Note: If it is not easily transferred to hand you can directly Inverse the plastic sheet on the griddle to transfer it. Make sure plastic sheet does not stick to the griddle during transfer. Cook till it gets little golden brown spots & flip it to other side. Drizzle oil on top & cook till the other side is cooked. Togari bele obbattu is ready to serve hot. It is traditionally served with ghee or with warm milk and ghee or with kai haalu (Coconut Sweet Milk). I prefer to have obbattu mixed well with warm milk & ghee. It can be stored for 1-2 weeks in refrigerator in a air tight box. Whenever required heat on griddle or microwave & serve. 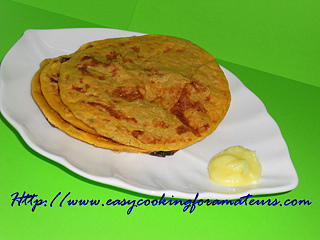 Yummy preparation...nice detailed explanation...very helpful..
Never say no to this puran poli,delicious..
Poli looks to be delicious and wholesome. Excellent preparation. plz do check my version too.....posted just 2 days back.. I love this.. 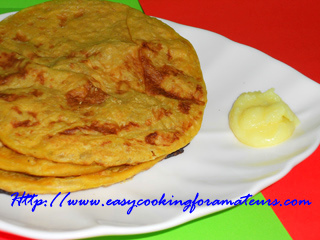 I can eat any number of them..
LOVELY PURAN POLI..i TOO LOVE THIS A LOT.thanx for sharing this recipe..
Beautiful looking blog. Thanks for sharing your recipes.